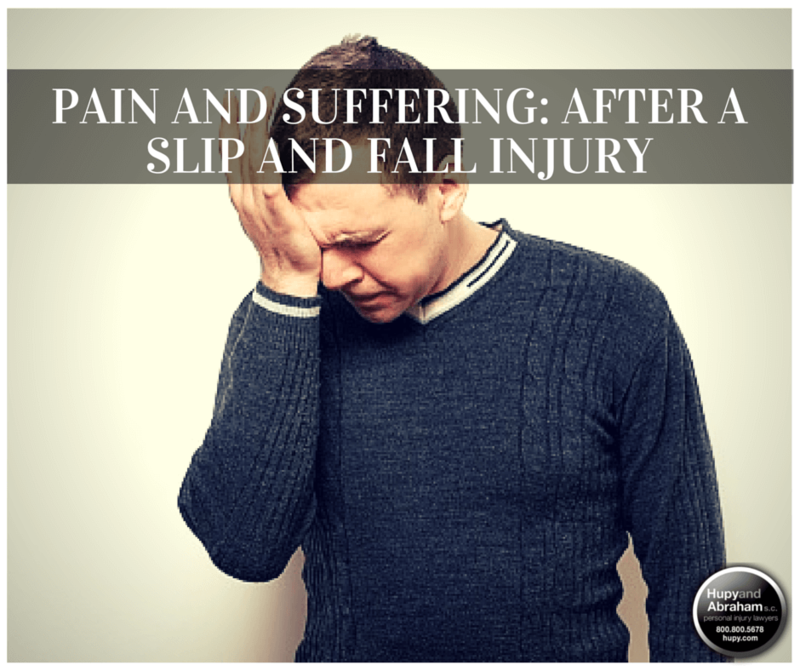 Slip and Fall Accident Pain and Suffering Damages | Hupy and Abraham, S.C.
Every day you live with the physical pain of your injuries, and you suffer emotionally as you sit out of the activities that you once enjoyed. You may be facing a future that is far different than what would have been if you had never been hurt in a slip, trip, or fall accident. You deserve to recover for these injuries, but first you need to know what is meant by pain and suffering and how to protect your legal rights to slip and fall damages. The amount of physical pain you have to endure. The events that you miss out on with your family and friends. Any sleep problems you suffer. Your loss of enjoyment of life. There is no piece of paper, computer program, or bill that might easily calculate the value of your pain and suffering. Instead, you are going to have to prove the value of your damages and advocate for your fair recovery. You can expect that the insurance company is going to want to minimize your pain and suffering recovery. However, you do not have to negotiate with the insurance company alone. Instead, you have the right to work with an experienced slip and fall lawyer who can help you get the full recovery that you deserve—including damages for pain and suffering. To learn more about the value of your recovery and about how to protect it, please schedule your free and confidential consultation with an experienced attorney today. You can learn more by starting a free live chat with us or calling us directly at 1-800-800-5678.